Tim Elliott has specialised in construction, engineering, energy and professional negligence work for over 35 years. He has a wide ranging experience of all aspects of these fields in litigation and all forms of alternative dispute resolution such as arbitration and adjudication. Tim Elliott has been recognised for excellent advocacy skills and hands on approach to cases which has made him a popular choice with UK and overseas clients who include local and national governments, public authorities, developers, funding institutions, national and international contractors and sub-contractors, architects, surveyors and engineers. Tim Elliott now works as an arbitrator, adjudicator and mediator. Chairman of three-person tribunal in an ICC arbitration relating to a major civil development in Eastern Europe. Chairman of three-person tribunal in an ICC arbitration relating to construction dispute in Qatar. Member of a three-person ICC arbitration tribunal relating to design and construction of new railway in Gulf state. Solo arbitrator in a dispute over major civils construction contract in Hong Kong between the Hong Kong government and Chinese contractors. Chairman of a three-person Dispute Resolution Panel concerned with a major dispute on the Taiwan High Speed Rail Project. Chairman of a three-person tribunal in an LCIA arbitration relating to a contract for the design and construction of oil platforms in the Gulf. Chairman of a three-person tribunal in an ICC arbitration relating to the construction of an oil production facility in Nigeria. Chairman of a three-person tribunal in an arbitration arising from an Engineering Services Agreement for the installation of an ammonium nitrate unit in Egypt. Chairman of a three-person tribunal in DIAC arbitration concerning Dubai International Airport. Chairman of three-person tribunal in an arbitration concerning a major UK defence facility. Chairman of a three person tribunal in an ICC arbitration relating to a power plant in Rwanda. Chairman of a three person tribunal in LCIA arbitrations relating to the Channel Tunnel Rail Link. Chairman of a three person tribunal in an LCIA arbitration concerning an oil and gas pipeline in Kuwait. Member of a three-person tribunal in an ICC arbitration relating to a new airport in Muscat. Member of a three-person tribunal in an ICC arbitration relating to off-shore and mainland oil exploration in North Africa and the Mediterranean. Member of a three-person tribunal in an ICC arbitration relating to disputes between American engineers and European Power Corporation. Member of a three-person tribunal in a DIAC arbitration relating to disputes arising from the construction of the Dubai Metro. Member of three-person tribunal in an ICC arbitration relating to disputes between a main contractor and subcontractor concerning the construction of a combined power and desalination plant in Kuwait. Member of a three-person tribunal in an ICC arbitration relating to disputes arising from the construction of a sewage plant extension in Doha. Member of a three-person tribunal in an ICC arbitration relating to a dispute in a road construction project in Ethiopia. Member of a three person tribunal in LCIA arbitration relating to an international drilling contract. Sole arbitrator in two arbitrations concerned with a series of disputes between an international consortium and the Hong Kong Government relating to a major bridge infrastructure project in Hong Kong. Sole arbitrator in a dispute over formation and infrastructure works for a large residential development in Hong Kong. Sole arbitrator in a series of disputes between a UK water and sewage company and a major contractor. Sole arbitrator in a dispute between developer and UK local authority relating to claims arising from the construction of a large commercial property. Sole arbitrator in a dispute concerning construction of a Medical Centre in the UK. Sole arbitrator in dispute relating to a contract for equipment to be installed in vessels. Sole arbitrator in ICC arbitration relating to a construction contract in Ireland. Sole arbitrator in a dispute over a train derailment in the UK. Acting as mediator on disputes arising from the construction of a London hotel. Acting as mediator on disputes relating to a riverside development in the south of England. Acting as mediator on disputes over house price index used to calculate the purchase price of property. Acting as mediator in a dispute over the East London Line Project. Acting as mediator in a dispute between main contractor, subcontractor and insurers relating to design and construction of rain screen cladding. Acting for Hong Kong Housing Authority in an arbitration relating to disputes with piling contractor on a large housing development. Acting for Tubelines in disputes with London Underground on the underground upgrade. Acting for a major American corporation in arbitration proceedings under a PFI contract against London Underground relating to the Connect Project under which the entire communications systems for the Underground Network was being replaced. The disputes lasted several years. Acting for specialist water treatment contractor in a High Court action brought by Yorkshire Water Authority in respect of the new SBR at the Nostrop Treatment Plant at Leeds. After a lengthy trial Yorkshire’s case was dismissed. Also representing the same client in the Court of Appeal on Yorkshire Water’s unsuccessful appeal. Acting for the Hong Kong Government in arbitration against a UK/Japanese Joint Venture relating to the Tsing Ma Bridge (part of the new airport infrastructure). Acting for the Mass Transit Railway Corporation in arbitration proceedings with the Airport Authority relating to the construction of the Ground Transportation Centre at the new Hong Kong Airport. Acting for a sub-contractor in a Hong Kong arbitration with a main contractor relating to electrical and mechanical works at the new Hong Kong Airport. Acting for a major supermarket chain in a High Court action against a Local Authority in relation to a new Shopping Complex. Acting for a national contractor in an arbitration claim relating to new student accommodation in the Midlands. Acting for Bath and North East Somerset District Council against Mowlem in the Court of Appeal regarding disputes over the long delayed restoration of the Bath Spa Buildings in Bath. construction of a prestigious West End residential development in Kensington. Acting for a major UK defence contractor in arbitration and litigation with the Ministry of Defence in relation to a top secret establishment. Advising a French contractor in relation to their contracts to construct a Waste Water treatment Plant in Cork. Advising the architect on various disputes relating to the construction of the Government Campus Plaza in the West Indies. Acting for a contractor in an arbitration with the Department of Transport in relation to the upgrading of a major road tunnel in London. Acting for the Northern Ireland Department of the Environment in an arbitration with contractor on major water treatment/sewage project. Acting for contractors in disputes with other Water Authorities in relation to two other water treatment plants. Acting for electrical contractors on claims arising from the Jubilee Line Extension. Acting for large American Corporation in connection with the design and construction of an offshore wind farm. Acting for a sub-contractor in ICC arbitration proceedings concerning an oil exploration project involving the construction of a drilling rig on an artificial island in Kazakhstan. Acting for sub-contractors in an LCIA arbitration over the design and construction of a two block combined cycle power plant for a major power station project in South East Asia. Acting for specialist sub-sea contractors in High Court action concerning sub-sea pipeline work connecting FPSO’s to well heads in the North Sea. High Court action against geotechnical consultants relating to subsidence at a shopping centre in Essex. Acting in a number of High Court actions relating to responsibility for fires and resultant losses. These cases concerned offices, supermarkets, shopping centres and a large retail development in Oxford Street. 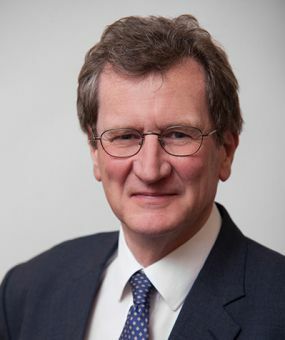 Tim Elliott QC is an impressive practitioner who sits on a wide range of construction disputes Interviewees highlight his talents, describing him as “indisputably a top silk”. "He was instrumental in getting the case resolved to everyone's satisfaction." "He is hugely experienced, very calm and organised. He's a good operator." “A veteran of construction law” and “knows the practice inside out”. He is currently active as an arbitrator in a range of international and domestic cases. He is “absolutely meticulous and always very well prepared”. "He's conscientious and a sound advocate." "A very careful lawyer who shows great attention to detail." Tim Elliott lives in London and Lincolnshire. His interests include the theatre, opera and farming.